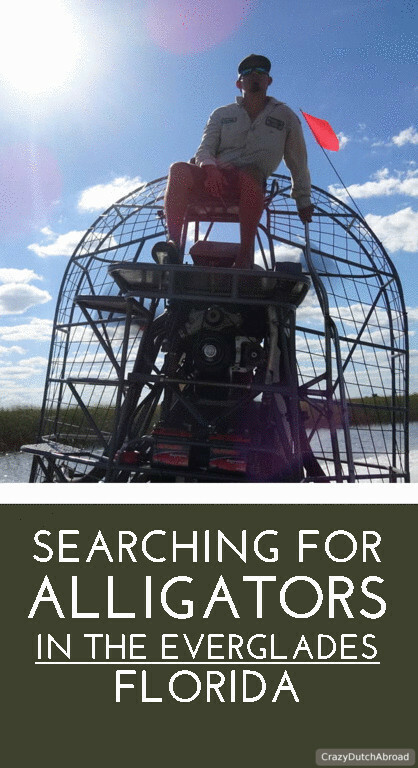 Searching for Alligators with an Airboat in the Everglades! Imagine yourself on a flat boat with a huge propeller moving air while sliding (more like drifting) through the wetlands... It is possible in Florida! 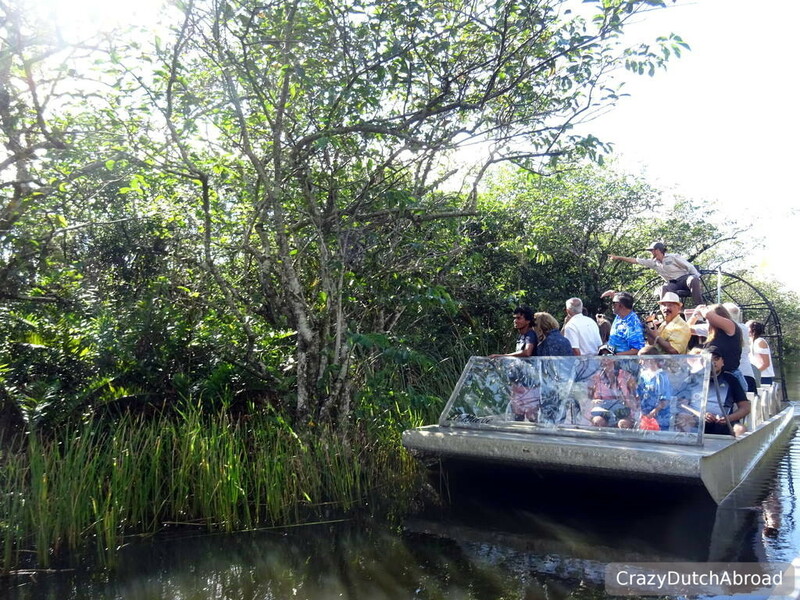 Hundreds of thousands alligators live in the shallow waters of the Everglades National Park and with an airboat ride you get the trill of a true wildlife adventure! This was the first time for me on an airboat, it felt really impressive to drift to the left and right straight through the high grass and green plants floating on the water. The airboat makes such a load noise you want earplugs when it runs at full speed, most companies provide them. Luckily the boat slows down for spotting wildlife as well. Searching for alligators is the main thing, the higher the water level the harder it is to spot them since they have a larger area to roam and relax in the sun. The Everglades are also home to different species of snakes, turtles and a large variety of beautiful birds. Even though we had high water levels, we found an alligator! Not the best possible angle but we saw one! 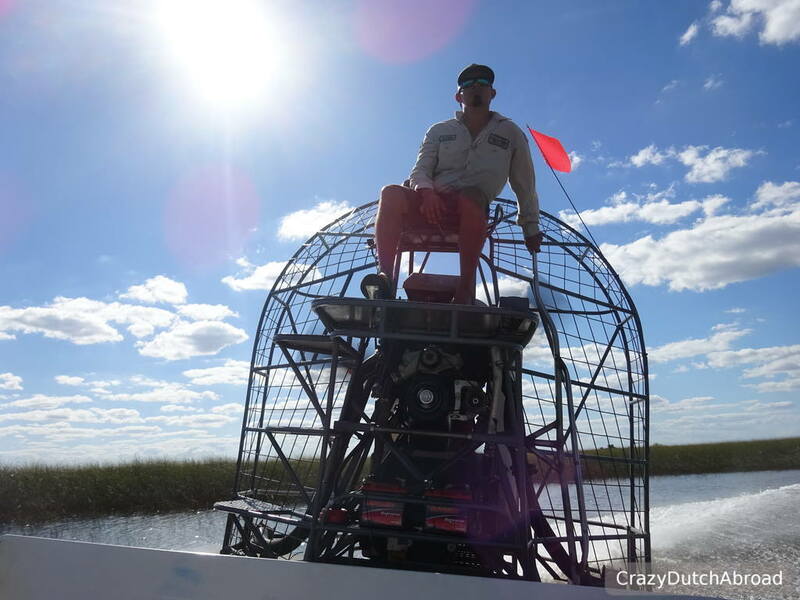 Things to love about the airboat rides in the Everglades! 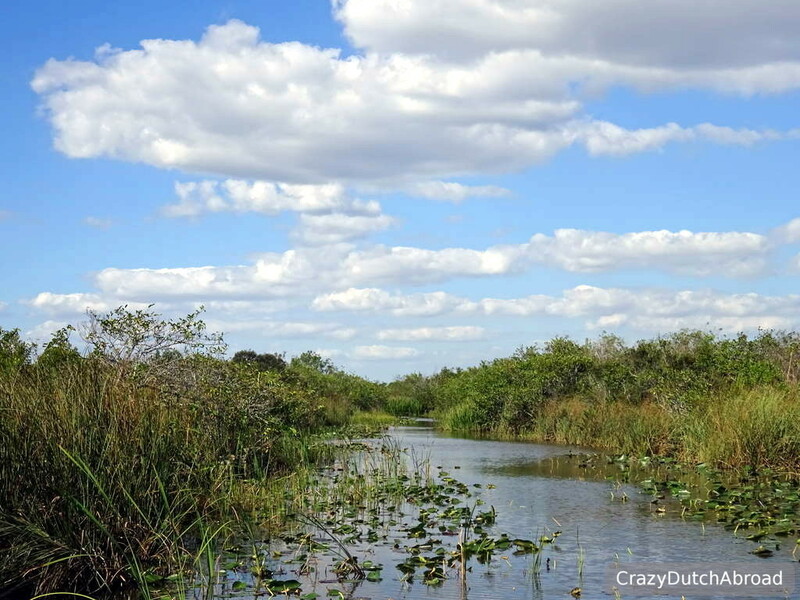 There is a lot to explain about the different plants, animals and their behavior in the Everglades. Luckily we had a guide that was very talkative about the things he pointed out. Not only mentioning names but also explaining things. This is very educational and interesting. The Tamiami Trail is the name for the national road 41 that goes from Miami to Naples (West to East coast). You can find many boardwalks to spot wildlife along this road that looks a bit like a highway through the forest. There are even panthers around, so keep your eyes open and drive slow! 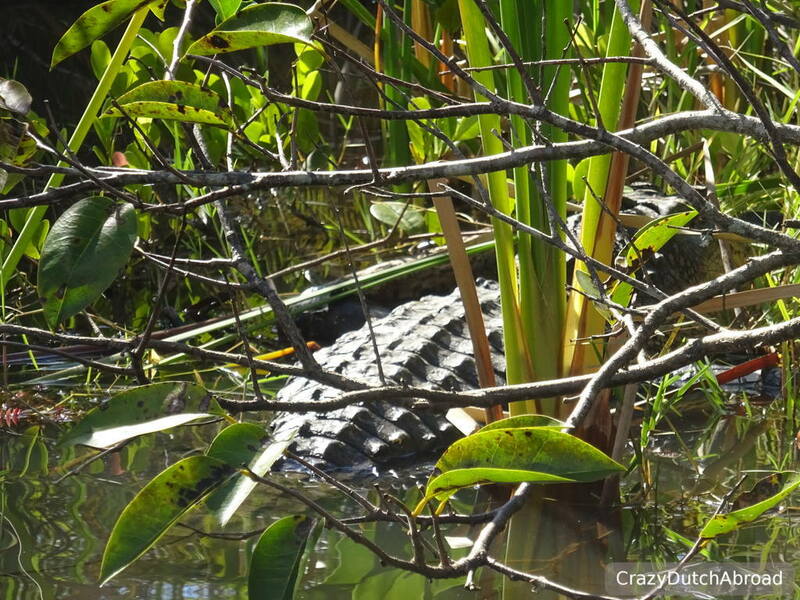 Lessons learned in the Everglades! Pick the right company for you! Do NOT think it is a unique adventure, companies and boats are lined up along the 41. Pick your favorite based on what you like. There are big companies, like Gator Park, where boats move in and out the whole time and you get a wildlife show with alligator wrestling and a falcon. Even though the information was educational the entertainment purposes seem to be at a higher stake than animal welfare. 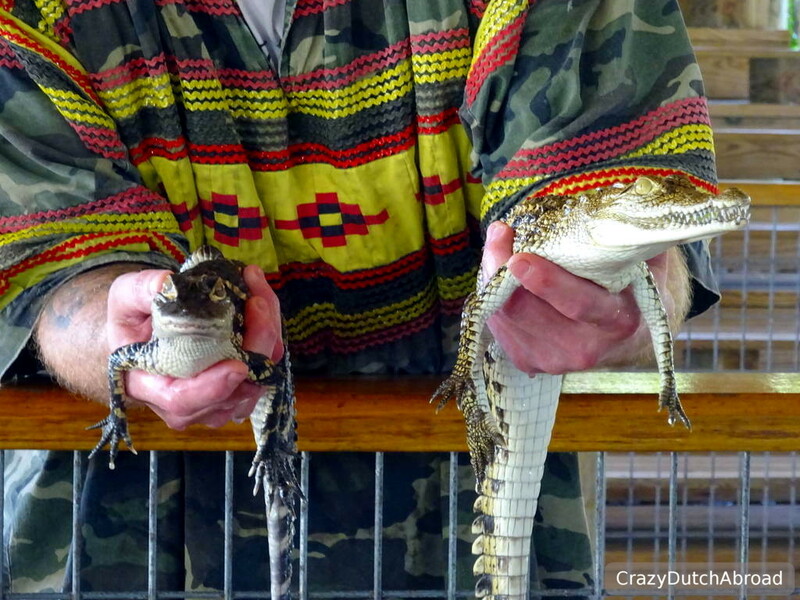 Imagine the alligator being pulled out of the water for a few tricks several times per hour... There are several small companies with only one or two boats waiting for people to arrive. This must be so much more relaxed and 'natural', also the actual wildlife watching might be longer than 10 minutes (the rest is show and drifting). Find a discount coupon in one of the free tourist information guides or book the trip online to get a dollar or two discount on the ticket. Tickets are about 25$, they go down to $20 if you are a discount hunter. Make sure to get your discount because tipping at the end of your tour is highly appreciated. 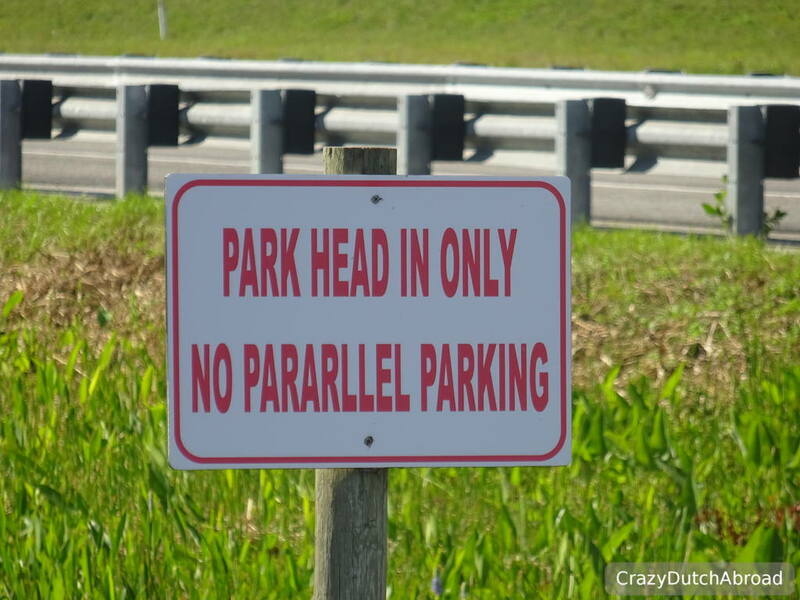 No parallel parking in a parking lot is understandable, park within the marked lines sounds reasonable, but only head in forward?! I am against using wild animals for entertainment purposes as I mentioned above. Holding one, you pay extra, does not do the animal any good and it does not educate the right way in my opinion. It is a shame it is offered by guides that look like rangers. Number of restaurants and bars in top-area In the Everglades's you can find a hand-full along the road 41. Quality of local food US burgers! What can I say, we need to get some work done as well. Fast living, short experiencing, like a local?! Well, at least like a real digital nomad!